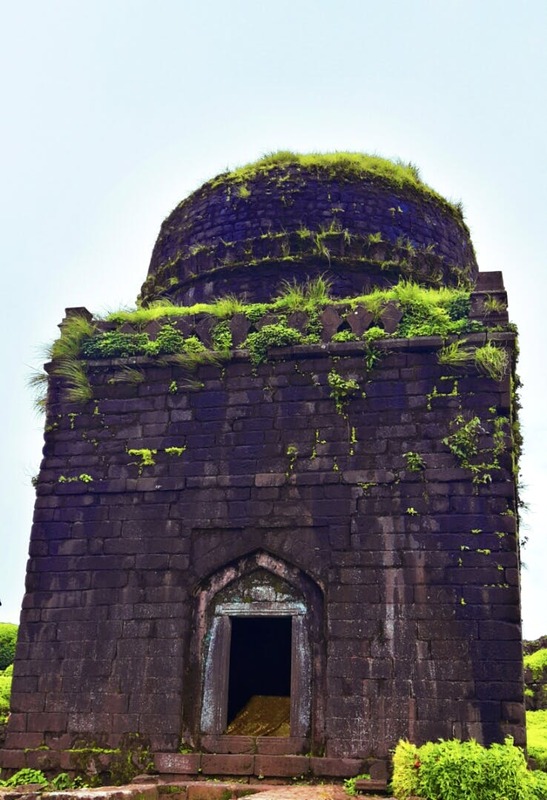 A beginner-moderate level trek will take you atop Lohagad Fort. One of the most magnificent forts of Maharashtra with two natural ponds, two artificial ponds, a Shiv temple, a Dargah and a valley view of the famous Pawna Lake. This is the perfect season to go as the clouds descend on you, wrapping you in their chill! You can head to Bhaja caves for a warm up and enjoy by the waterfall. A 5km drive ahead will take you to the base of the Fort. Keep your trekking shoes on and your rain gear handy as the trail is a bit slippery because of the water flowing down continuously. Take the route from Malvali station as that road is much better than the one from Lonavala. The route from Bhaja Caves to the fort is completely uphill with three very steep curves. It's a thrill for seasoned drivers but novices may feel it be a little overwhelming. Parking is available at both Bhaja Caves and Lohagad Fort. You will find bhajis, bhutta, and chai at the base of the fort. However, take a drive on the road less-traveled by towards Pawna Lake to Lohagad restaurant. It is located on the other side of the fort by the lake and they serve a huge platter of yummy pakoras! The route is also very scenic, so it's a plus for you.